There isn’t much that can be said about the origins of Rocamadour with certainty, but it can’t be denied that the setting is stunning. I’ve taken the train from Bordeaux to Brive-la-Gaillarde, and then on to Rocamadour Padirac station. From there, I need a ten minute taxi ride to reach the medieval city. The guidebooks all agree that Rocamadour is best viewed from the road coming in from L’Hospitalet, which is exactly where I am. I can soon see how towers and buildings are lining a cliffside above the Alzou gorge. Rocamadour has been clinging to this cliff for around a thousand years. 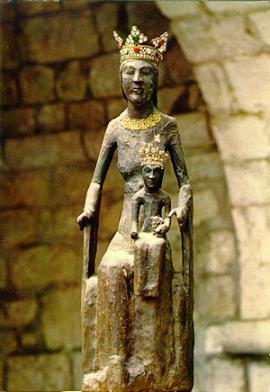 Originally a location of Celtic worship, a Benedictine chapel was here by the beginning of the twelfth century, but Rocamadour’s fame doesn’t really begin until the discovery of the perfectly preserved remains of a man under the chapel floor in 1166, and the subsequent miracles attributed to a 66 centimetre high walnut wood statue of the Black Madonna. Around 120 of these miracles are listed here, in a site managed by Oxford University. It records numerous instances of sight being regained by the blind, speech recovered by the mute, and the miracle of “someone who fell out of a tree”. The body was soon held to be that of St Amadour, also known as St Adour. 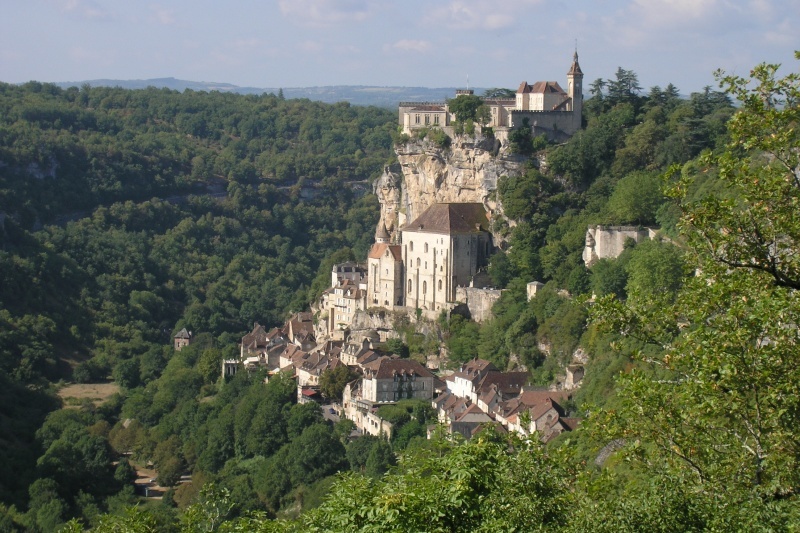 Rocamadour translates in local Occitan dialect as “he who loves the Rock”. The village quickly became a target of pilgrimage, either as purification, or, when ordered, as a penance. Early arrivals were King Henry Plantagenet and King Louis IX of France. 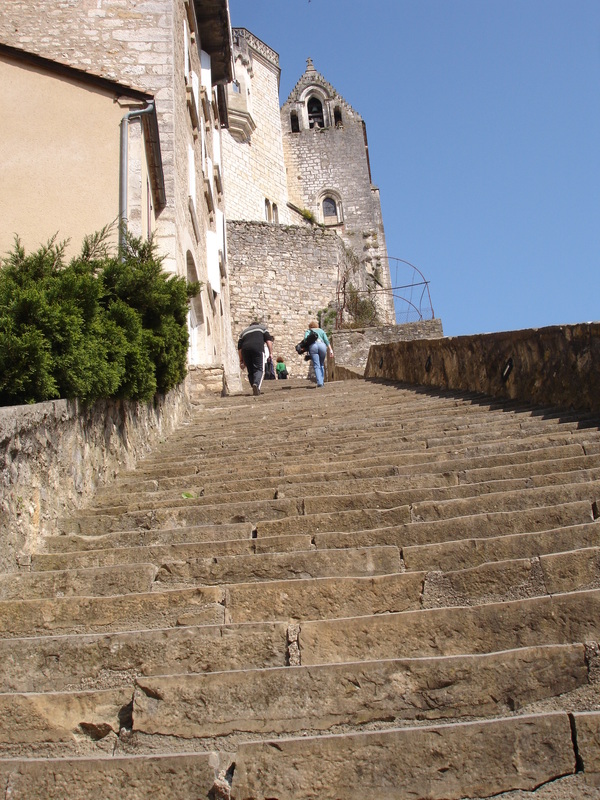 From the lower town to the Chapelle Miraculeuse, the location of the Black Madonna, the Grand Escalier still includes 216 steps, which pilgrims would climb on hands and knees. If the penance warranted, chains could also have been attached to their arms and neck. It was a beautiful day, so I had a chocolate croissant and walked up. Records show that the penitent would reach the Black Madonna and state his “amende honorable” while a priest recited purification prayers, in the hope that the Virgin would drive away the demons. If the church dignitaries were satisfied, the penitent would be deemed cured, receiving a certificate and a lead medal in the image of the Black Virgin. The pilgrimage flourished until the 15th century, bringing wealth to the village, and the development of a pilgrim hospital, water cisterns, a chateau with ramparts and fortified gates, and the seven Chapels at the top of the Grand Escalier. So who was St Amadour? Some have suggested that he was St. Amator, Bishop of Auxerre; others have identified him as St Sylvanus; others think he was an unknown hermit. The most common explanation dates from the 15th century, when it was decided that the body belonged to Zaccheus of Jericho, mentioned in Luke 19:1-10. Zaccheus the publican and tax collector of Jericho was the husband of St. Veronica, who wiped the face of Jesus as he climbed to Calvary. One legend says that Mary recommended to Zaccheus that he should live as a hermit in Gaul. After the death of St Veronica, he was guided by angels to a cave, and installed the statue of the Black Madonna, said to have been either carved by St Luke or by Zaccheus himself. The cave had been dedicated to a pre-Christian Celtic trinity of goddesses, but the placement of the statue ceased the human sacrifice practised there and marked the beginning of Christianity. 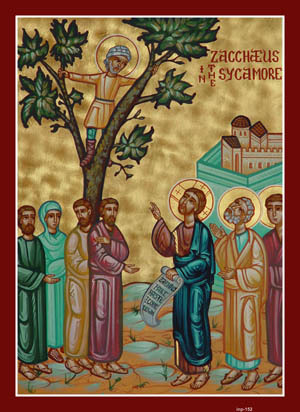 Zaccheus died around 70AD. Slightly ruining this story, it is now understood that the Black Madonna was carved somewhere between the ninth and eleventh centuries. In 1562 the chapel was pillaged and burnt by Protestants during the Wars of Religion and the body of St. Amadour was pulverised. The Black Madonna was unharmed. 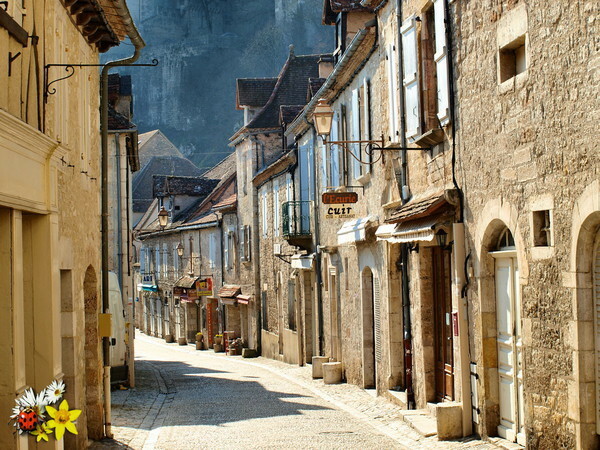 Rocamadour is today regarded as the second most significant historical site in France after Mont St. Michel in Normandy. I’m glad I’ve come here in December when I can soak up the feel of this place. It’s very still, and the afternoon light is starting to darken. I can imagine it centuries earlier as a bustling township, full of visitors hoping to change their fortunes. The modern pilgrims may be missing at this time of year, but the souvenir shops are here, patiently awaiting their return. This entry was posted in Travel and tagged Black Madonna, france, Rocamadour, St Amadour, travel, Zaccheus. Bookmark the permalink. I stayed in the old School House in Rocamadour back in the 1980s, it is a great place, and the Dordogne had not become too overrun with Brits (like me) at the time, it still had a down to earth feel to it. Wow!…But I haven’t prepared a speech! I feel like a surprise winner at the Oscars who doesn’t quite know what to do next. That’s possibly where any similarities end. As for telling seven things about myself…err….there was the time when a girl I worked with told me I’d look good with a “no 1” haircut. The next day at work she apologized and said she was wrong. Some said I looked like a budgie, others said it was more like a tennis ball. No 2…I’m struggling now. I eat my kids’ food when they’re asleep. Doesn’t everyone do that? No 3…I may need to come back to this. Actually as grateful as I am, I’m not sure about making other blogs (as deserving as they are) feel obliged to start another awards cycle, so having thanked my mum, my first pet and Elvis, I might just keep my head down, and get off stage as quick as possible, trying not to trip on the steps on the way down. I hope that doesn’t sound ungrateful. But for anyone reading this, head over to Laura’s blog…..
…..that’s where the best after-party is! Her shout too! ahah 😀 it’s all good mate, never any pressure, I just meant it as a nod of appreciation from my end. Cheers, best I keep a low profile…this party’s gonna cost me a fortune!! Saving this for my France tour! There you go again with the chocolate croissants! Stop it! Seriously, your blog is a wonderful way to travel, what with your pictures, history, and insider scoop. I can’t wait to go on your tours and am never disappointed!